Globalisation and climate change are the main drivers of invasion of non-endemic regions by mosquitoes. Mass transportation of people, animals and goods facilitate accidental long-distance displacement while climate warming supports active spread and establishment of thermophilic species. In the framework of a mosquito-monitoring programme, eight non-indigenous culicid species have been registered in Germany since 2011, with four of them being more or less efficient vectors of disease agents and another four now considered established. The eight newly emerged species include Aedes albopictus, Ae. japonicus, Ae. aegypti, Ae. koreicus, Ae. berlandi, Ae. pulcritarsis, Anopheles petragnani and Culiseta longiareolata. 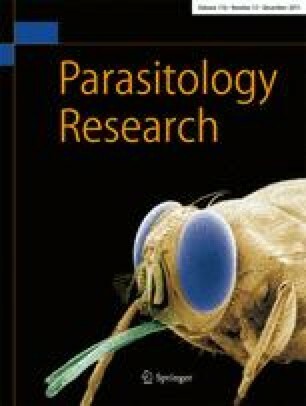 We here review recent findings and at the same time present new findings of specimens of non-native mosquito species in Germany. This work was financially supported by the German Federal Ministry of Food and Agriculture (BMEL) through the Federal Office for Agriculture and Food (BLE), grant numbers 2810HS022, 2819104115 and 2819104615, and by the Robert Koch Institute, grant number 1362/1-982. We are also grateful to Brigitte Dannenfeld, Jutta Falland, Christin Henke, Juliane Horenk, Martina Pusch and Oliver Tauchmann for excellent technical assistance in the laboratory, and to all the people taking care of our mosquito traps and submitting mosquitoes to the citizen science project ‘Mueckenatlas’.